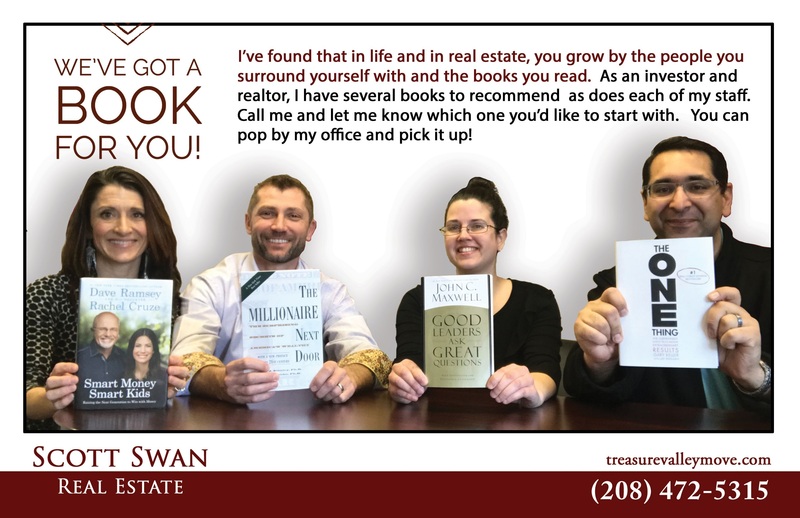 I’ve found that in life and in real estate, you grow by the people you surround yourself with and the books you read. As an investor and realtor, I have several books to recommend as does each of my staff. Call me and let me know which one you’d like to start with. You can pop by my office and pick it up! "Scott and I picked up this book after attending a Dave Ramsey's leadership conference at the Morrison Center a couple of years ago. We, of course, want our kids to be smart with their money! I like it the Ramsey approach in general because there is no shame in being a saver or spender and there is representation on both sides in our little family ---both with us and our boys. I appreciate the giving mindset and the way they advocate a balance between helping kids have both freedom and guidance as they learn."